Members of No. 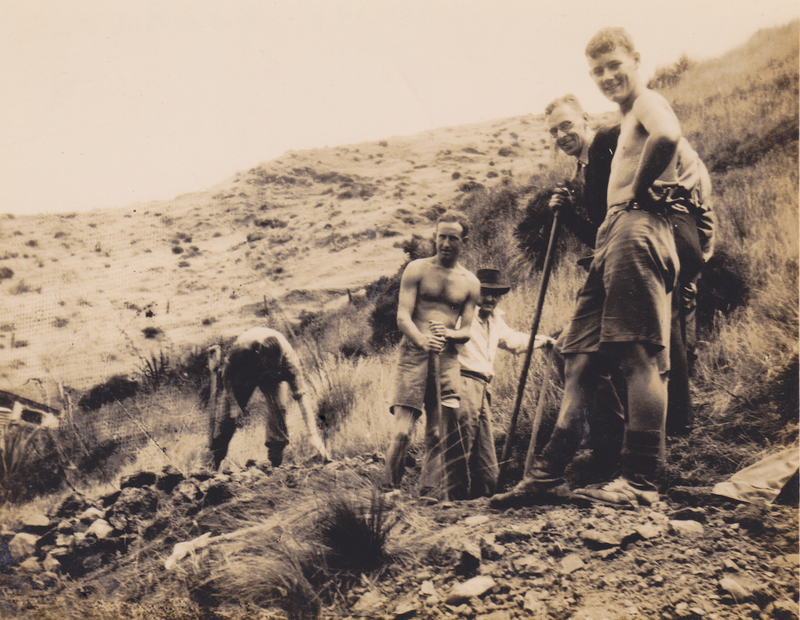 10 Platoon, Makara Battalion, New Zealand Home Guard, hard at work digging defensive positions at Makara Beach in 1942. From L to R, they are McDermott, Sheilds, Brawn, Pike, Bell-Harry and Thompson.